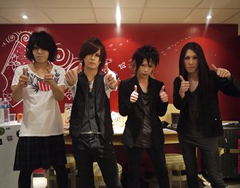 girugamesh, currently pressing ahead with their tour girugamesh WORLD TOUR 2011 “Here we go! !” played last Thursday at the club Darwin in Sendai. They dedicated their song “pray”, written after the Great East Japan Earthquake, to their fans in Sendai. On tour, it’s hard to say that one girugamesh show is better than any other, because they work hard to put their all into each and every performance. Even so, they had to say that this one in particular had a special meaning. On March 11, they heard about the earthquake while far away on tour in Berlin. They wrote “pray” with the thought of doing whatever they could to help as soon as they returned. Starting with a prayer they wrote while far away in Europe, the finished with a wish they made once they returned to Japan, and the song was finished. On their world tour their received lots of support, love, and encouragement from their fans in Europe and America, and they brought it back to their fans in Sendai. There were some fans who cried during the show. Anybody who was there took a bit of those emotions, that love and encouragement, into themselves. So when we all joined together in a huge chorus of Now, the world becomes one, and we joined our hands together, for that moment, we truly did become one. With that feeling still in their chests, girugamesh will appear for the Grand Finale of their tour at Zepp Tokyo on the 26th. 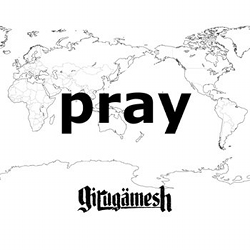 On April 20th, girugamesh will release the digital charity single �pray� all over europe to help Japanese disaster victims. The profit will be entirley donated! During their ongoing world tour, girug�mesh organized a fundraising campaign for the victims of the eathquake and tsunami in Japan. The response is tremendous so far! Everyone is giving what he can and showing his great helpfulness! girug�mesh would kindly like to thank every one for helping and offering hope to the people in Japan! girugamesh can undoubtedly be counted as one of the most interesting and innovative rock acts in the international scene. The european media compare them to System Of A Down, and have labelled them �Japan�s answer to TOOL�. In reality though, their musical cocktail of hard guitar riffs, melodic vocal passages and electronics, combined with powerful rhythms and bombastic hard vocals (sung in both Japanese and English) makes them hard to pinpoint. 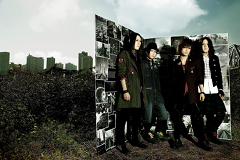 The band was formed in 2003 in Tokyo, with the current lineup of Satoshi (vocals), NII (Guitar), SHUU (Bass) and RYO (Drums) having been together since 2004. 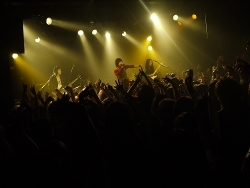 Gigging on the Tokyo club scene, the band quickly gained a reputation for their energetic live shows, building up a strong fanbase in and around Japan�s capital. The first official single �Kaisern Sengen� reached number 10 in the Japanese independent charts in spring 2004. The next two years saw the band touring heavily, and by the end of 2006 girugamesh released their debut album �13th Reborn� which gained huge media attention. In fact the release became a big success. With Japan conquered, in 2007 the band decided to look further afield for new fans and began activities in Europe and the US. The band performed at the J-Shock Festival in Cologne/Germany, the J-Rock Revolution in L.A./US and the Asian Pacific Week in Berlin/Germany. In case of the many demands for a return visit, in January 2008 the band did their first European headline tour packing out clubs across France, UK, Scandinavia and Germany in support of their new, self titled album. The success of this tour led to the band being invited to perform at Europe`s (if not the world�s) biggest metal event, the WACKEN Festival. On november the 7th 2008 the band released their album �Music� in Europe! 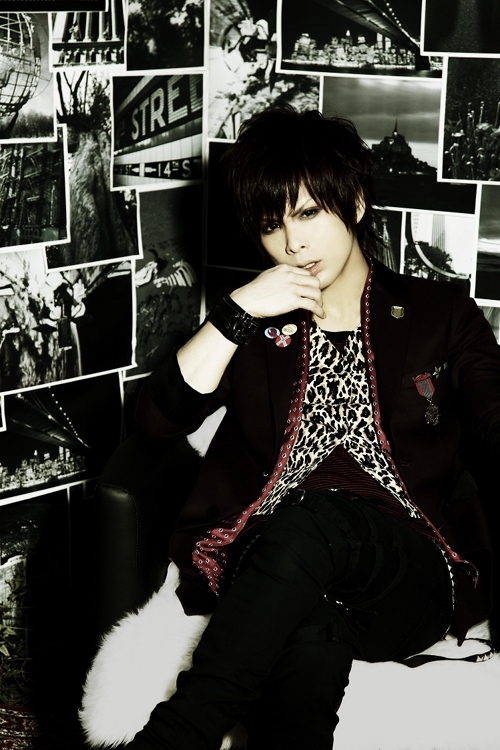 Right from the beginning �Music� became a big success, showing off girugamesh�s preference for electronic influences! This release was followed by �CRAZY CRAZY CRAZY�, girugamesh�s first live-DVD! And now, in 2010, girugamesh is back to reclaim the throne of J-Rock again! �NOW� can be seen as a further development of girugamesh�s sound without neglecting their roots: Brute drumming and catchy hooks on the one hand and electronical experiments on the other. There is no doubt: Anyone who is into J-Rock and energetic rock-music will love this album. Right �NOW�!